Do you have that 'one great bag' that you use from day to night? I presume that you have your favorite bag/bags that you abuse use every day to store all the things you need to school, work, and leisure. A woman with a busy schedule knows the need for a reliable bag that's not only stylish but flexible- can be used day and night. 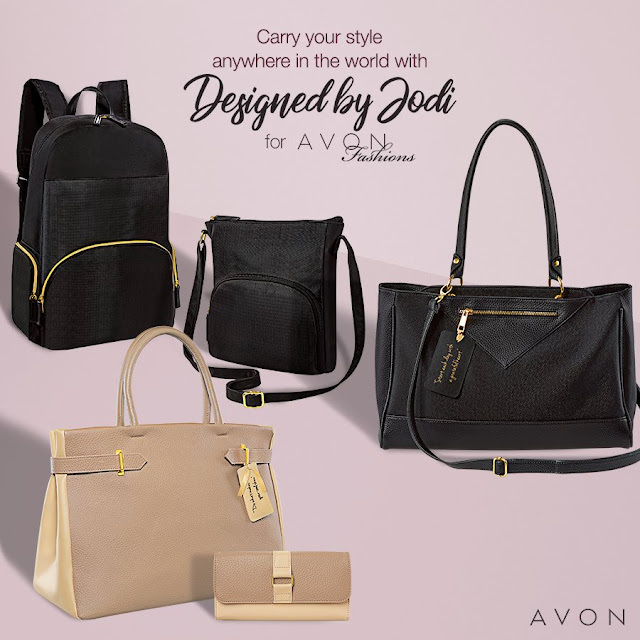 In line with this, Avon Fashions collaborated with actress Jodi Sta. Maria in supporting and conquering their battles, no matter how big or small. The Designed by Jodi Accessories collection is dedicated to the busy and determined Filipina. Stays true to what Jodi believes in- you shouldn't be adjusting to your bag and you shouldn't hassle yourself with it. This project consists of practical yet ultra trendy bags that are versatile enough to use any time of the day. Bring your entire life in your bag and conquer it at the same time. Avon Fashions sent one of the bags from the collection and it's the Jodi's Travel Backpack and Sling Set (1,199). 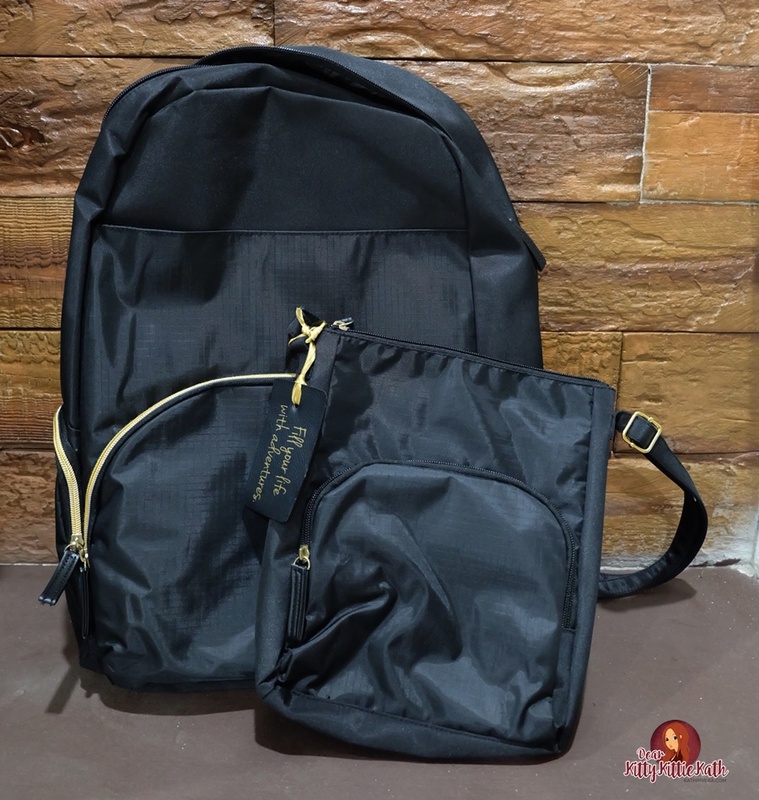 This bag is ready to equip you during your travels and more. Its lightweight satin polyester fabric makes it fashionable and functional. The bags come with a bag tag too. I'm a big bag person. I always bring my entire closet with me. Nah, just kidding! But if you'll take a peek at my bag, you'll see that the stuff I have here will help me survive all types of weather day and night! 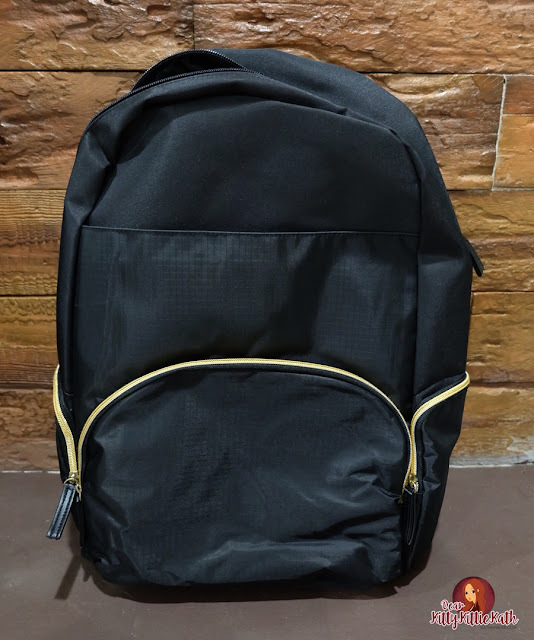 Aside from the bags they've sent me, there are two other bags from the Designed by Jodi Collection which you can use every day to work and school. Jodi's Work Bag (999) comes in a classic and very classy design. Each purchase comes with a dust bag, bag tag, and bag organizer. On the other hand, Jodi's Work Wallet (399) is the perfect complement to the work bag. It has enough compartments to fit all your important cards and receipts. Last but not the least, Jodi's Everyday Bag (999) shifts from being a shoulder bag to a sling bag with a simple attachment to the strap. 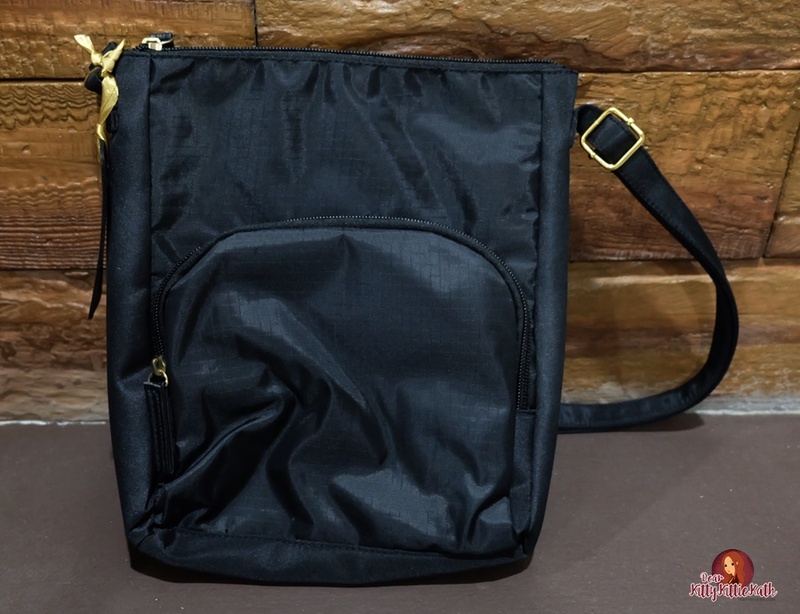 A nice bag for busy days in the offices to the lively parties at night. The bags from Designed by Jodi collection are so nice! I find them stylish yet functional and perfect for the busy and modern Filipina. What's your favorite bag/s from the Designed by Jodi collection? Visit their website AvonShop.ph to shop now! Wow, that's nice to know. I presume you have a backpack collection!